OPEN YEAR ROUND. 2 Miles from Crystal Mountain Resort and just a stone’s throw from the Betsie River, we are located outside Thompsonville, Michigan. Click below to view driving directions from your closest city. 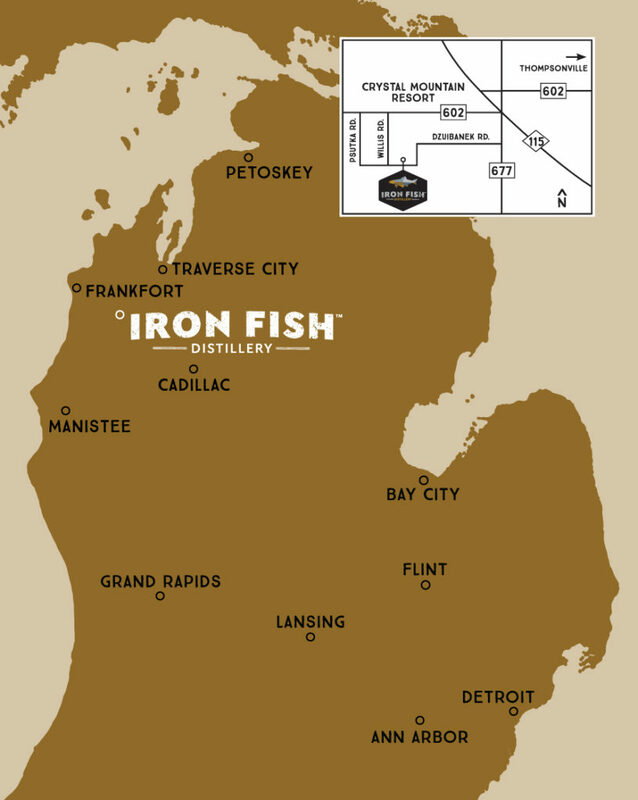 STEP BY PASSIONATE STEP, WE TAKE ON EVERY PART OF THE DISTILLING PROCESS — CREATING EXCEPTIONAL ARTISAN SPIRITS USING GRAINS FROM OUR FIELDS AS WELL AS CAREFULLY SOURCED NORTHERN MICHIGAN GRAINS. We are excited to offer tours to our visitors and customers. Join us as we take you through our farm production process, tour the distillery and barrel room, and end with a round of tastings! Check out our tours page to book your tour! Check out our logo gear!